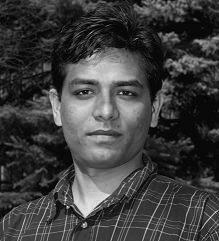 I am a PhD candidate at Wagner Lab, EEB, U of T. Earlier I have completed an MSc in Biology from Mallik Lab, Lakehead University and, an MS in forestry from FWT Discipline, Khulna University, Bangladesh. My PhD project is on using spatial analyses to infer assembly rules in plant metacommunities. Specifically, how patterns and processes of community assembly (local community) couple with spatial processes and shapes the regional metacommunity. Broad questions/topics include i) how do existing metacommuniy models treats landscape ii) landscape effects on species coexistence iii) choosing the best model: when, which, model would be appropriate iv) can we infer underlying ecological processess from one time snapshot observational data? - a simulation approach v) quantification of spatial patterns and making inference on underlying processes from field data.